Holland, Julian. The World Encyclopedia of Cigars. Photo available. New York. Hermes House. 1999. 4to. Soft cover. First edition. Illustrated in black, white and color. Fine copy. Holland, Justice Randy J. (ed). 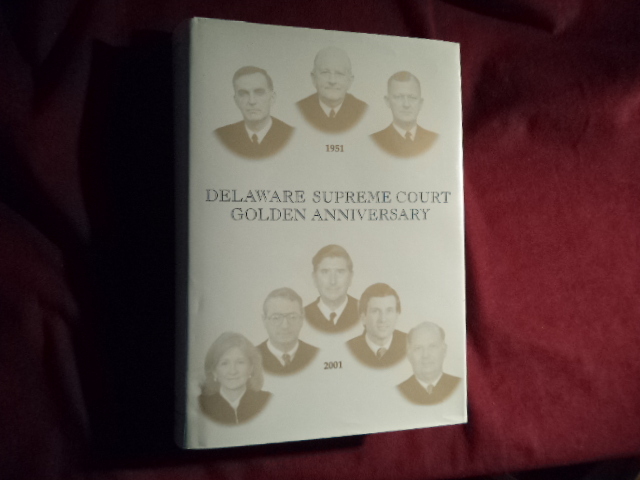 Delaware Supreme Court. Golden Anniversary. 1951-2001. Photo available. Wilmington. Supreme Court of Delaware. 2001. 672 pps. 4to. Hardcover. First edition. Illustrated. Important reference work. Fine copy in fine dust jacket (in mylar). Holland, Vance M. Lemuel Mallory and His Descendants. Photo available. Portales. Self published. 1976. Thick 4to. Hardcover. First edition. Illustrated. Very scarce, important genealogical work. Fine copy. Holly, David C. Exodus 1947. Boston. Little, Brown Co. 1969. 306 pps. Octavo. Hardcover. First edition. Fine copy in fine dust jacket. Holly, George-Warren (ed). Outrageous. The Photographs. Photo available. New York. Rolling Stone. 1998. 4to. Decorated hard cover. First edition. Illustrated in black, white and color. Fine copy. Hollyman, Thomas. 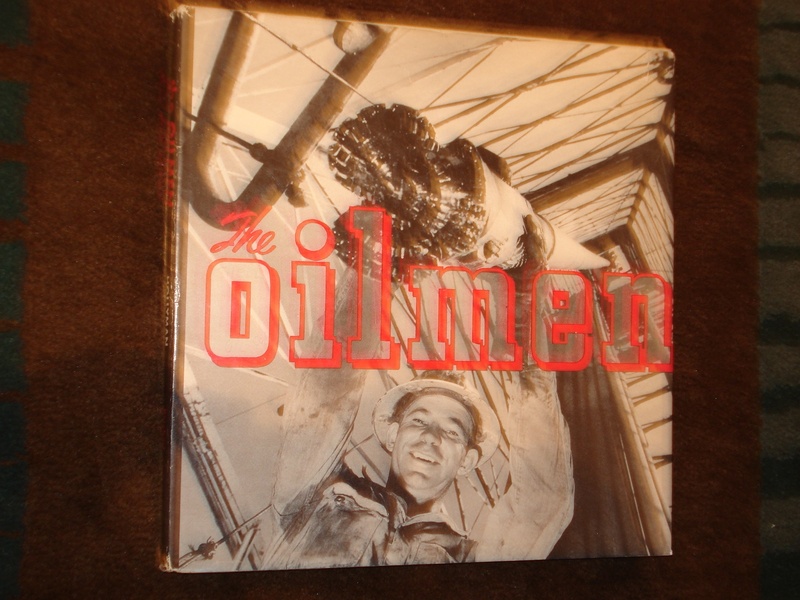 The Oilmen. Their Energy Moves a Nation. Photo available. New York. Rinehart & Co. 1952. 4to. Hard cover. First edition. Illustrated with photographs by the author. Fine copy in fine dust jacket (in mylar). Holman, Frank E. The United Nations. A Hope or a Menace? np. Freedon Club. 1952. 32 pps. Octavo. Soft cover. Near fine copy, some penciling. Holmes, Elinor. The Skillet Legends of Sleepy Hollow. San Francisco. Western Loose Leaf. 1952. Octavo. Spiral bound. First edition. Illustrated. Fine copy. Holmes, Ernest. The Science of Mind. A Philosophy, A Faith, A Way of Life. New York. Tarcher. 1998. Octavo. Soft cover. Reprint. Fine copy. Holmes, Ernest. 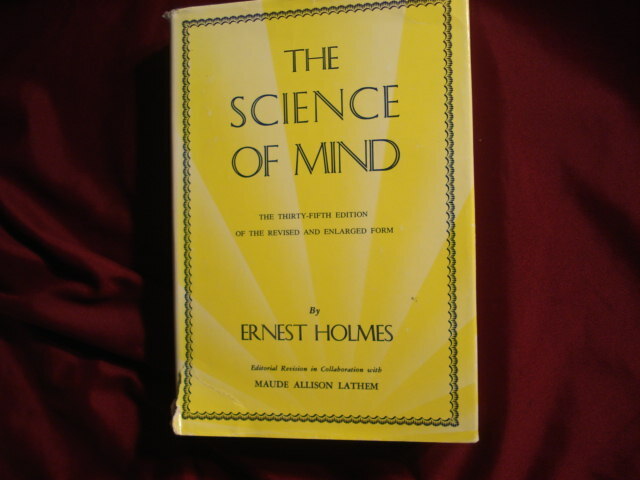 The Science of Mind. A Philosophy, A Faith, A Way of Life. New York. Tarcher. 1998. Octavo. Soft cover. Reprint. Near fine copy (very light shelf wear). Holmes, Ernest. 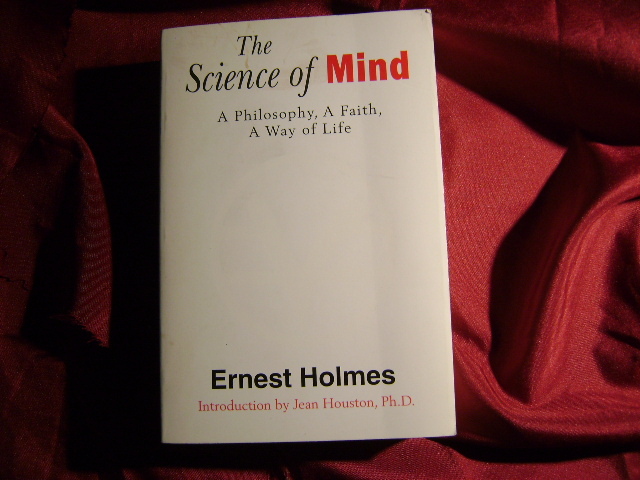 The Science of Mind. A Philosophy, A Faith, A Way of Life. Photo available. New York. Tarcher. 1998. Octavo. Soft cover. Reprint. Fine copy. Holmes, Ernest. The Science of Mind. Completely Revised and Enlarged. New York. Dodd, Mead & Co. 1951. Octavo. Hard cover. Reprint. Fine copy in near fine (light shelf wear) dust jacket (in mylar). Holmes, Ernest. The Science of Mind. Completely Revised and Enlarged. Photo available. New York. Dodd, Mead & Co. c. 1970s. Octavo. Hardcover. Reprint. Fine copy in near fine (closed tear at bottom, spine edge) dust jacket (in mylar). Holmes, George (ed). The Oxford Illustrated History of Medieval Europe. Photo available. Oxford. Oxford University Press. 1988. 398 pps. Octavo. Hard cover. First edition. Illustrated in color and black & white. Fine copy in fine dust jacket (in mylar). Holmes, George (ed). The Oxford Illustrated History of Medieval Europe. Photo available. Oxford. Oxford University Press. 1991. 398 pps. Octavo. Soft cover. Reprint. Illustrated in color and black & white. Fine copy. Holmes, Kristin. The Victorian Express. Photo available. Wilsonville. Beautiful America Publishing. 1991. 4to. Soft cover. First edition. Illustrated in black, white and color. Fine copy. Holmes, Philip & Jill Singleton. 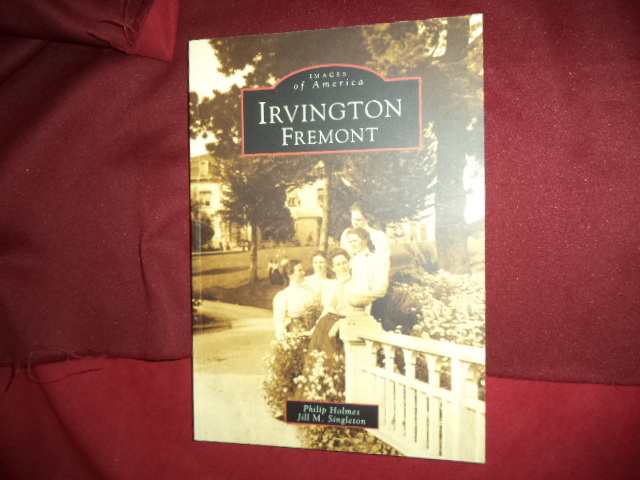 Irvington, Fremont. Images of America. Photo available. Charleston. Arcadia. 2005. Octavo. Soft cover. First edition. Illustrated. Fine copy. Holmes, Roger. Taylor's Guide to Gardening in the Southwest. Boston. Houghton Mifflin. 1992. Octavo. Soft cover. First edition. Illustrated in black, white and color. Fine copy. Holt, Geraldene. The Gourmet Garden. The Fruits of the Garden Transported to the Table. Photo available. London. Pavilion. 1990. 4to. Hard cover. First edition. Illustrated in black, white and color. Fine copy in fine dust jacket (in mylar). Holt, John. How Children Fail. New York. Delta. 1964. Octavo. Soft cover. Reprint. Near fine copy (very light shelf wear). Holt, Patricia. George Washington Had No Middle Name. Secaucus. Citadel. 1988. Octavo. Soft cover. Fine copy. Owner name on end paper. Holt, Sid. The Rolling Stone Interviews. The 1980s. New York. St. Martin's Press. 1989. 4to. Soft cover. First edition. Illustrated. Fine copy. Holtz, Herman. How to Succeed as an Independent Consultant. New York. John Wiley & Sons. 1993. Octavo. Hardcover. Reprint. Fine copy in fine dust jacket (in mylar). Holtzman, Steven. Digital Mosaics. The Aesthetics of Cyberspace. New York. Simon and Schuster. 1998. Octavo. Soft cover. First edition. Illustrated. Fine copy.